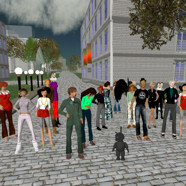 Second Life logo and sample avatar images are ©2008 Linden Research, Inc. 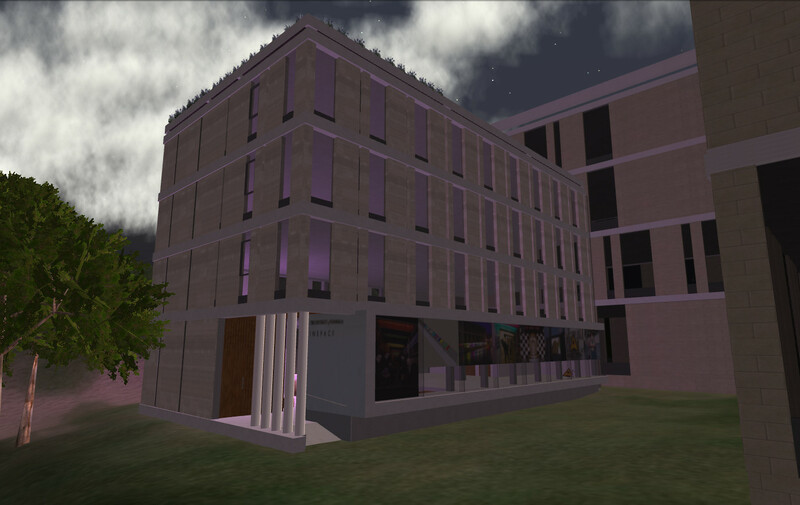 The School of Informatics at the University of Edinburgh established initial facilities in Second Life in December 2007. These have since been replaced with a region associated with Virtual University of Edinburgh - Vue with a range of facilities on it. 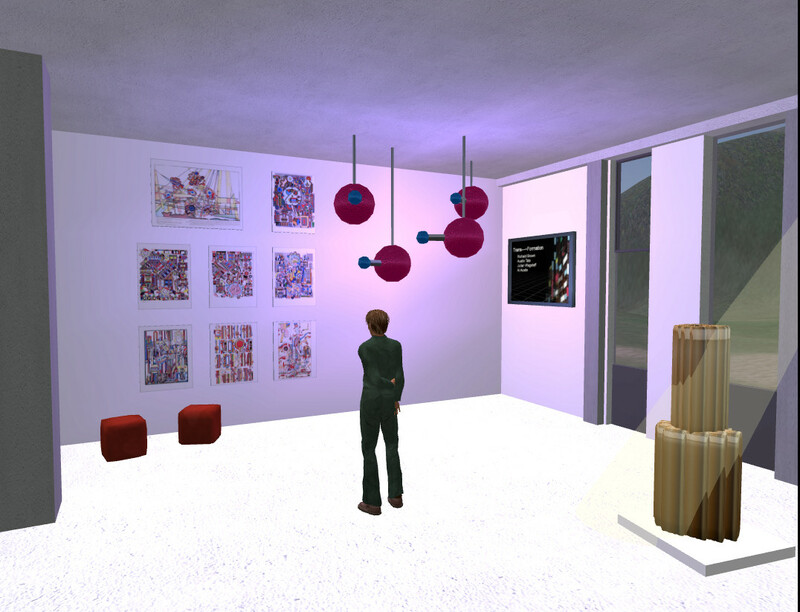 Parts of the Informatics Forum have been modelled in Second Life... inclduing the art and exhibition space callled "InSpace". The current gallery there shows some Informatics members artworks (some prize winning photography, art items, involvement in Smithsonian collaborative art projects, etc) and also archives the original artwork images and information from the alley that ran to the East side of InSpace as it was being built. There are some Paolozzi items in InSpace that were destined for the real Informatics Forum and Board Room. A virtual worlds version of a robotic scuplture originally designed for the Informatics Forum called "Formation" has been recreated in Secod Life with a link from InSpace - see Trans---~Formation. 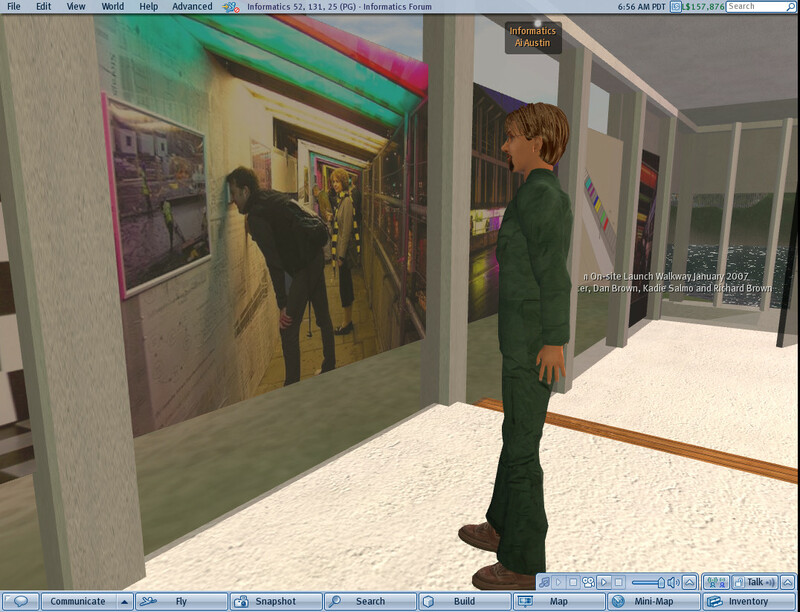 The design allows for replicas and archived exhibit content of real InSpace exhibitions and shows to be kept and visited in replicated copies of the InSpace gallery as a "MoreSpace" and a way to look at smaller artworks in the gallery and then go to a much larger virtual world location to see the installation via an "OutSpace" and return after the visit. 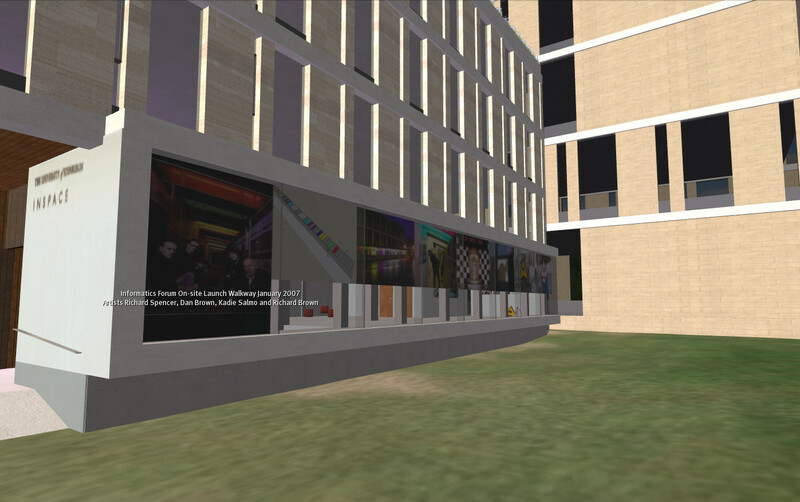 Outside InSpace is a replica of the donors board from the real Forum, along with a video as used at the time the Forum and Second Life virtual Forum/InSpace was opened by Scotland's First Minister Alex Salmond on 3rd September 2008.